You've got to know which human foods make dogs ill if you want to keep your pet from getting sick. Get this list of foods dogs can't eat and learn to spot signs your dog might have eaten something toxic and needs to see a vet. There are many foods you eat that your dog should not. Make sure you keep these toxic foods in a spot where your dog cannot reach them. Alcoholic beverages or foods that contain alcohol are not appropriate for pets in any dosage. The experts at VetStreet.com note that even a small amount of alcohol can cause central nervous system depression, vomiting, a coma or death. According to the Humane Society, Xylitol, an artificial sweetener in products such as chocolate, gum, candy, baked goods and toothpaste, can cause insulin release in dogs, leading to hypoglycemia and liver failure. Initial signs of toxicosis can include vomiting, lethargy and loss of coordination, but it's possible for a dog to suffer seizures as well. Days after exposure, your dog may also suffer elevated liver enzymes and liver failure. 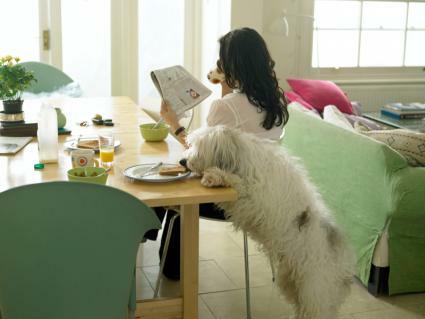 Be sure that any substances containing caffeine are kept out of the reach of your dog. The Animal Poison Control Center notes caffeine is toxic to dogs, causing vomiting, elevated heart rate, hyperthermia, tremors, seizures and even death. While corn on the cob isn't poisonous to your canine friend, it definitely is something to keep your dog away from. Vets note that corn cobs are not digestible in a dog's intestines, and so the cob will cause a blockage that may have to be surgically removed. Yeast is not meant to be consumed by dogs; their digestive tract is not built to handle it rising. According to the Animal Poison Control Center, when a dog ingests uncooked bread dough, the dough will rise in the warm environment of the stomach. Side effects can include gas and diarrhea, and if too much yeast is consumed, a rupture may occur in the dog's intestines, which can be life-threatening. Though garlic is a very healthy food for humans, garlic is toxic to dogs. Garlic contains thiosulphate, which can lead to hemolytic anemia in dogs, destroying red blood cells. 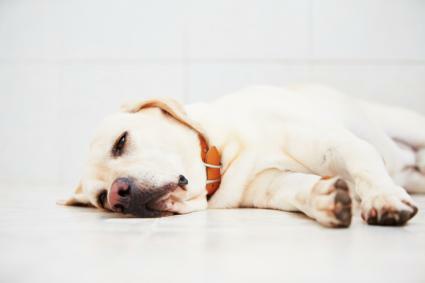 Symptoms of garlic toxicity include stomach issues such as diarrhea or vomiting, breathlessness, lethargy, pale gums, an elevated heart rate, an increased respiratory rate, weakness, exercise intolerance and your dog may even collapse. PetMD cautions that grapes of any kind can cause kidney failure in dogs. It is unknown how much causes toxicity in a dog's system, so it is important not to let your dog have any grapes or raisins. The Humane Society cites that these nuts pose a great danger to dogs, with even small amounts inducing lethargy, depression, panting, vomiting and diarrhea after eating. This is true regardless of whether they are shelled, raw or roasted. The experts at PetMD share dogs are naturally lactose intolerant, so although drinking milk is not fatal to dogs, it does give them quite a stomach ache and can lead to diarrhea and vomiting. It is best to avoid all dairy products. According to the vets at DVM360.com, any form of onion or onion powder is extremely toxic to dogs. Even small amounts of onion can cause anemia and damage a dog's red blood cells. Just like in humans, excess salt in a dog's diet can lead to dehydration or sodium ion poisoning, which can result in vomiting, diarrhea, tremors, elevated body temperature, seizures and death. Do not give dogs any of your salty snacks. Star fruit can be dangerous to pets and humans alike even though some humans consume the fruit. Drooling, vomiting, diarrhea, lethargy, tremors, and bloody urine are some of the dangers of dogs consuming star fruit. Dogs get into trash cans, pick up spilled food from under the dinner table, and sometimes can even grab foods off the counter without you noticing. It's important to be diligent if your dog begins to display signs that it may have ingested food that is toxic to him. If your dog begins to have diarrhea, vomiting, difficulty breathing, seizures, is constipated, has an elevated or extremely low heart rate or temperature, has pale or extremely bright gums, or begins exhibiting irregular behavior such as pacing or staggering while walking, he may have consumed food that his body cannot process properly. If you know or suspect that your dog has consumed any foods that are unsafe, contact your veterinarian immediately. Be sure that a full bowl of water is available to your dog. If your dog is displaying symptoms that it has consumed a toxic food and it is after your vet's normal hours, don't wait until the next day to bring your dog in. Take your dog to the closest emergency veterinarian. For assistance by phone, 365 days per year, at a fee of $65 per case, you can also contact the ASPCA Poison Control Hotline at (888) 426-4435.